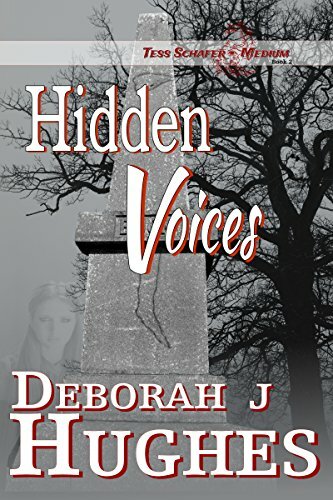 I love books involving supernatural elements and paranormal activity. Dean Koontz delivers those elements in all of his books…he’s a master of the macabre after all. The thing is, for all my fascination with the paranormal, I’m really not into spine-crawling, OMG, hands to the eyes, heart pounding fear that most horror works initiate. There’s usually just too much evil involved for me to enjoy it. Honestly, I find horror way too horrifying. Yeah, I know, that’s so cliche a statement but there it is. That’s how I feel. Thankfully (for horror writers and movie makers), there are a ton of other people who don’t share my sentiment. I do, however, like spooky, scary stuff. For me…unseen entities up to who knows what or when is more spine-chillingly captivating than evil gore, blood, guts, and over-the-top horror. For make no mistake, almost anything in the horror genre includes death and blood. Usually lots of both. I’m not so much into blood. As for death…I prefer dealing with those who are already dead rather than watching the gruesome process people often go through (especially in horror novels!) to enter that state. Yeah, I’m a ghost/spirit fanatic. Angels fascinate me too. Spirit activity never fails to captivate my attention and curiosity. I’m all agog about the idea of dead people interacting with our world. And I’m most curious as to what takes place in the afterlife. After all…each and every one of us will enter it someday. No exceptions! It’s perfectly understandable that I’d like to understand my ultimate destination. It’s also quite understandable that, as a writer, I would enjoy writing books involving those interests. And, of course, I love reading other people’s books involving them too! One book series I’ve come to enjoy is Dean Koontz’ Odd Thomas series. Koontz is a great writer. He really is. I respect and admire his skillful handling of the writing craft. But, that doesn’t mean I like ALL of his books. Some of them are a little too out of the ballpark for me. Either that or the subject matter just doesn’t interest me. The same goes for Stephen King. He’s another master of the macabre and one of my favorites. Even so, I don’t particularly care for ALL of his books either. But you know, that’s okay. A great writer often appeals to a broad audience. Those guys have my attention with certain books and other people’s attention with other books. That is a true master story teller…one who can appeal to a broad spectrum of personal story taste! 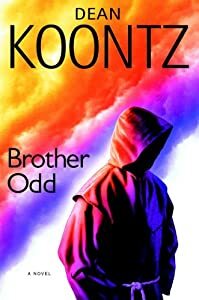 The character Koontz has created, Odd Thomas, is an interesting one. He can see dead people. He can’t hear them though. Bummer on that one…it would make things so much easier if the ghosts who appear to him could say, “That guy you just passed? Yeah, he’s about to destroy the town.” A quick 911 call, a police raid and the story is over. Town elimination averted. And what a conundrum that would be, for we now have no story! 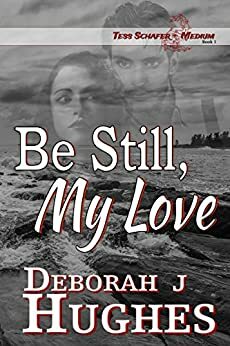 Thomas has another interesting ability…if he just goes with the flow, wherever the moment takes him, he is led right to where he needs to be to garnish clues involving the disaster about to unfold. Like it or not, Odd is tossed into the role of amateur private investigator, despite the fact that he regards himself as nothing more or less than a short-order cook. Odd has, however, taken on other odd (pun intended) jobs since the first book “Odd Thomas“. Although he was quite content to be the short-order cook for the Pico Mundo Grill, things didn’t go well for him in that first book. He suffered a loss that sets him on a course that leads to lives-depend-on-it adventures in “Odd Hours“, “Forever Odd” and “Brother Odd” (new book “Odd Apocalypse” due out in July!). Odd is at once, from the very first introduction, a likable guy. He’s very respectful, neat, polite, caring … and he has the support of Pico Mundo’s police chief to boot! A good thing since he’s pulled into future tragic disasters in the making! Poor Odd doesn’t quite know what to think of his gift, he even wonders if maybe he’s cursed. Some people might see it that way…having dead people show up at all hours seeking help or hoping to offer it. Regardless how Odd feels about spirits seeking him out, he does his best to help them. What’s really cool about the Odd books is that all the action takes place within a couple days at most! And man, are those hours filled with suspense, drama, mystery and thrill-building excitement. I think one of the things I found particularly amusing about these books is Odd’s sidekick ghost. Who isn’t going to like a guy who has attracted the King of Rock and Roll himself? Yes, Elvis Presley puts in a regular appearance, at least for a time. So, guess that solves that little mystery…yes, folks, Elvis Presley really is dead (a moment here of respectful silence). Sadly, the beloved King does eventually move on…to where, who knows, and although I miss him, other spirits come along that are interesting enough to fill the void. 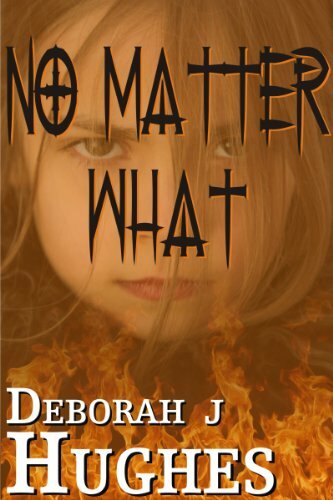 What Koontz has done is create an endearing character with some very interesting supernatural abilities. This intriguing character, who is as odd as his name, befriends an assortment of supportive characters and the catastrophe’s Odd must somehow prevent from happening (hopefully!) keeps us enthralled until the nail-biting end. As soon as I finish a book, I’m on line looking for when the next one will be out. It’s a bummer to have to wait until July…I’ve been waiting a long time already, but I will. I’m that devoted. And that’s the kind of following I hope to have someday! I hope people will like my stories and characters enough that they can’t wait for more, no matter how long the wait! I’m hoping my Tess Schafer character (introduced in “Be Still, My Love“) will be one of those endearing characters people will look forward to following in future books. 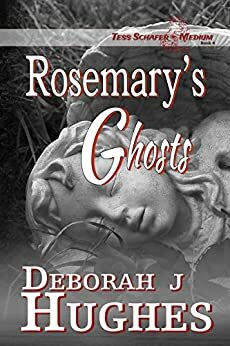 Tess is a medium, she speaks to the dead, she regularly communicates with her spirit guide Sheila and she channels stories that give clues to the mystery she’s trying to solve (involving a restless spirit … or two…of course!). I’m really liking the second book in the “Tess Scafer – Medium” series because she’s becoming more and more a real person to me and I’m learning things about her as I go that make me vastly intrigued with each word. 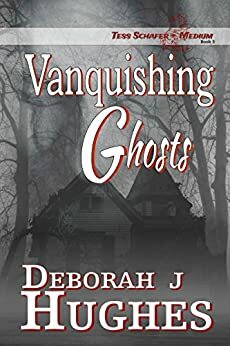 I never thought I’d be writing paranormal mystery novels. I’ve always been a big-time romance fanatic (still am!) but that seems to be the way I’m going. Besides, who is to say this young 25 year old widow won’t find love again? After all, Kade Sinclair – a Marine whose career ended with injuries he sustained while on tour in Afghanistan – is definitely in the picture. The two make an unlikely pairing and who knows where it will lead…if it leads to anything. But I’m sure going to enjoy the evolution of their story as it filters through my brain onto the keyboard! So, if you are a fan of the supernatural, if you like paranormal elements in a book’s story, you should give the Odd Thomas books a try. If you have already…do you agree with my assessment? Aren’t they great books? Until next time, my friends, blessings and Peace Out!! I love the Odd series. Koontz is my favorite author, I have read most of his books,but this series is by far my favorite. I love Odd Thomas and his journey so far,can’t wait till July for the 5th edition to come out. Also heard that there is talks of doing a mini series about Odd in the works, that would be interesting to see how they handle this story and beloved character on screen. Oh I would love to see a mini-series on these books! I can’t wait for the 5th installment either! I really like Odd, he’s a great character, a good sort! Thanks for stopping by and sharing in mutual admiration for a great book series! Adore the Odd Thomas series. Although he’s a bit of an “unreliable narrator.” I was so freakin’ mad at Koontz with the first book that I had to lend it to my best friend. Can’t wait for the new release. I wasn’t happy with how things turned out in the first book but I think it all helps drive the others. With Koontz, you just aren’t sure what he’s going to do! I think the unpredictability is what keeps you going! Really curious to see what the next book is going to bring us! I’m going to have to try this series. Like you, a lot of Koontz’s books have been too odd for me, no matter how well they’re written. But this sounds like something I’d enjoy. Thanks! There’s just something about these books that caught my interest. I think the character…he’s young and innocent and so danged nice despite the evil around him. And of course I love the ghost factor! If you decide to give it a try, I’d be curious to know what you thought! You should also check out the graphic novels of Odd; they are amazing! I’ve been wondering about that. I’ll have to do it! Thanks! « Military Lessons: Yes I Can and so Can You!